2. Select the “New Template Email” popup. 3. Enter Subject and select the theme. 4. 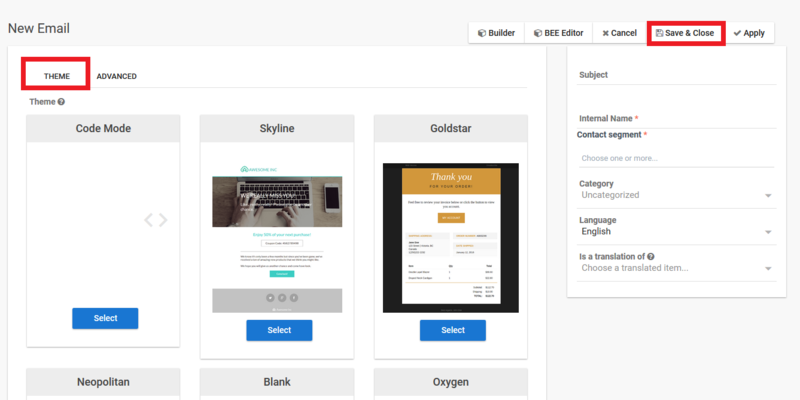 It will launch the email template builder.